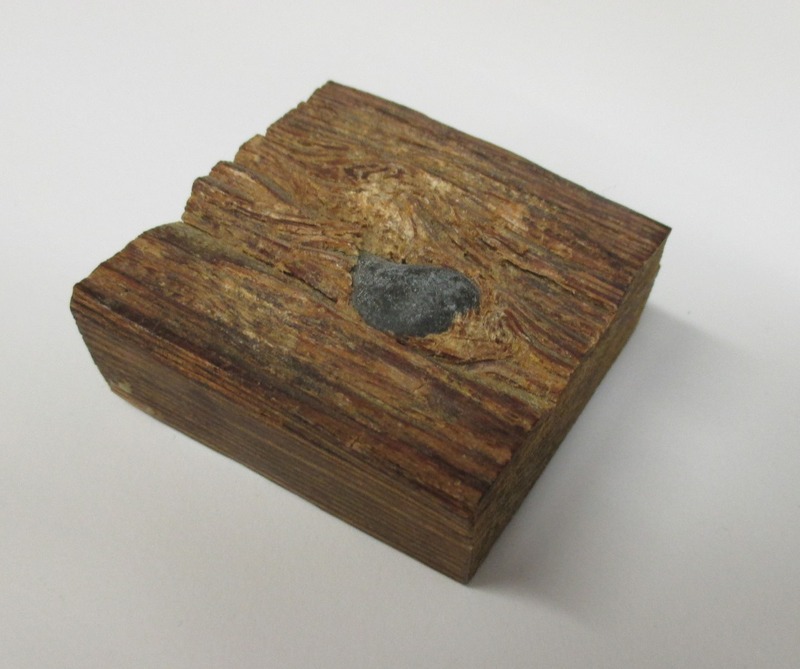 Item Description: This object is a wood fragment and rifle ball removed from the Battle of Bentonville. The battle stalled Sherman’s march north toward Raleigh, but eventually Sherman succeeded. The rifle ball is embedded in pine wood, The reverse side the following hand printed: “Rifle Ball Battle at Bentonville the Last Battle of the War between the States.” This object held in the North Carolina Collection Gallery at Wilson Library. Item Citation: “Wood Fragment/ Rifle Ball.” Bentonville Battlefield, Johnston County, N.C, 1865. CK.73. From the North Carolina Collection Gallery, Wilson Library, University of North Carolina at Chapel Hill. 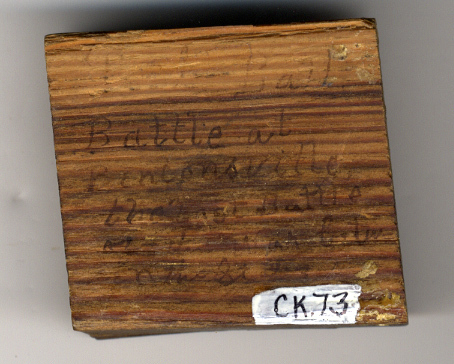 This entry was posted in North Carolina Collection and tagged Battle of Bentonville, Bentonville, Civil War, North Carolina, Rifle Ball, Wood fragment. Bookmark the permalink.